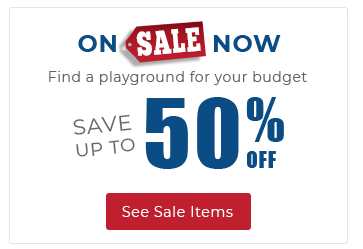 Need commercial playground equipment for your school, church, daycare, multi-family housing community, or other organization? 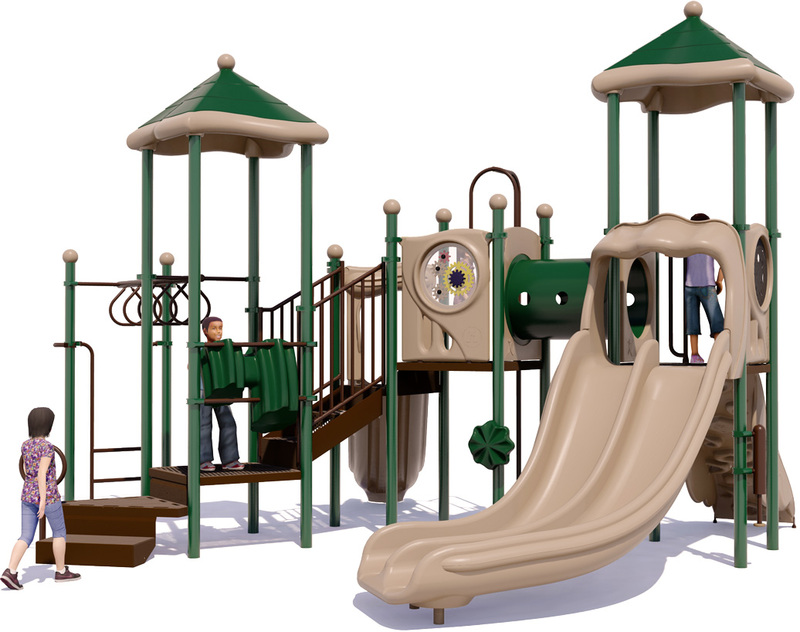 Then look no further than the Twist & Shout play structure from American Parks Company. 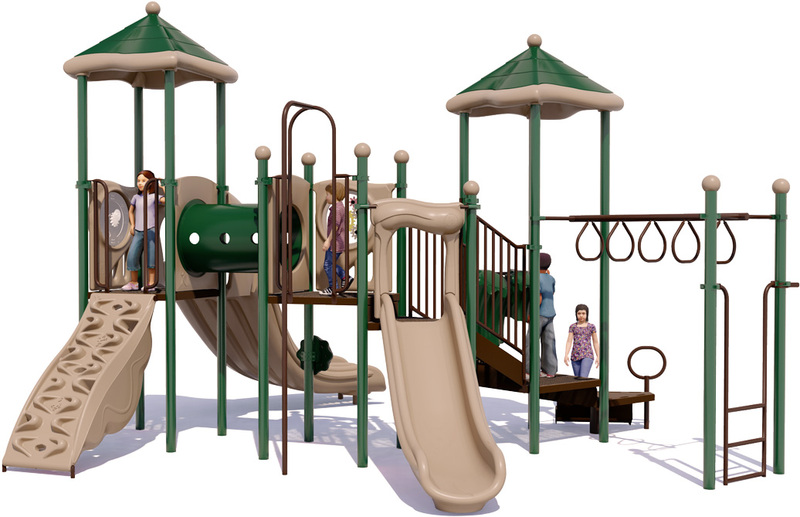 The commercial playground equipment and components included in the Twist & Shout are designed with the 5 to 12 age group in mind, and can entertain up to 40 children with its 12 different activities. 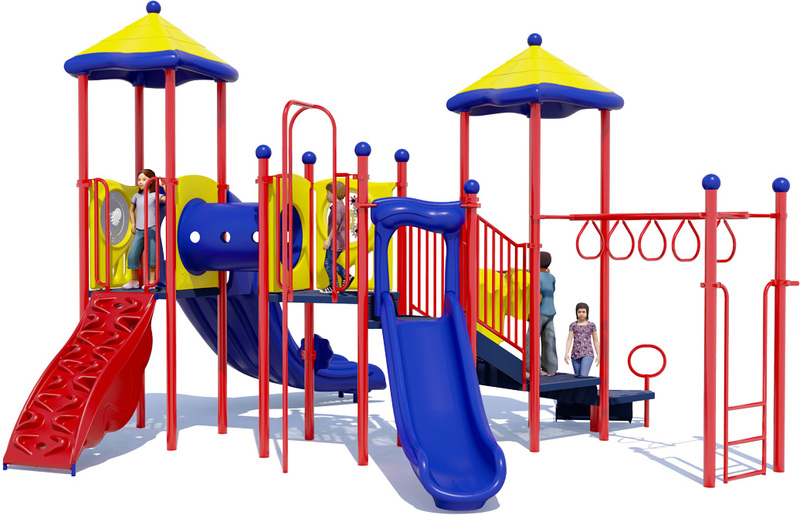 The playground equipment is constructed from lead-free polyethylene coated punched steel decks, 3.5O.D. galvanized 12 gauge aluminum posts, UV stabilized roto-molded plastic components, and high-density polyethylene activity panels. Upright posts are powder-coated to customer color specifications, and are backed by a Lifetime Limited Warranty. All plastic components and decks come with a 15 year limited warranty. 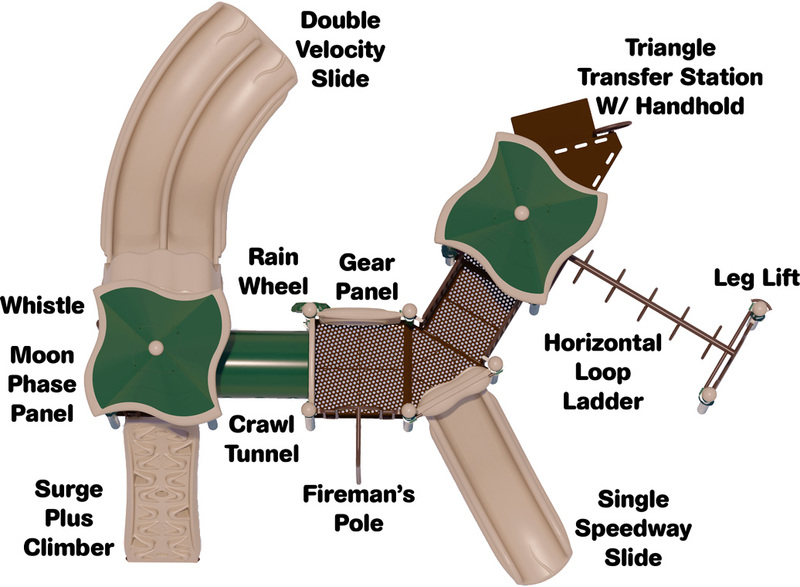 The metal pipes, rungs, loops, and rails associated with climbers come backed by a 50 year limited warranty. 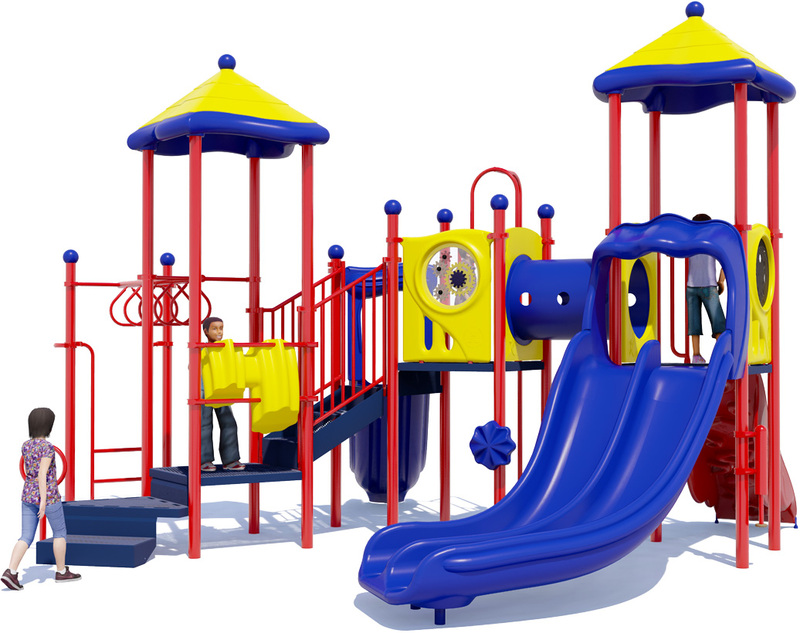 The play structure is ADA accessible, and conforms to all safety regulations mandated by the Consumer Product Safety Commission (CPSC), and American Society for Testing and Material (ASTM) . 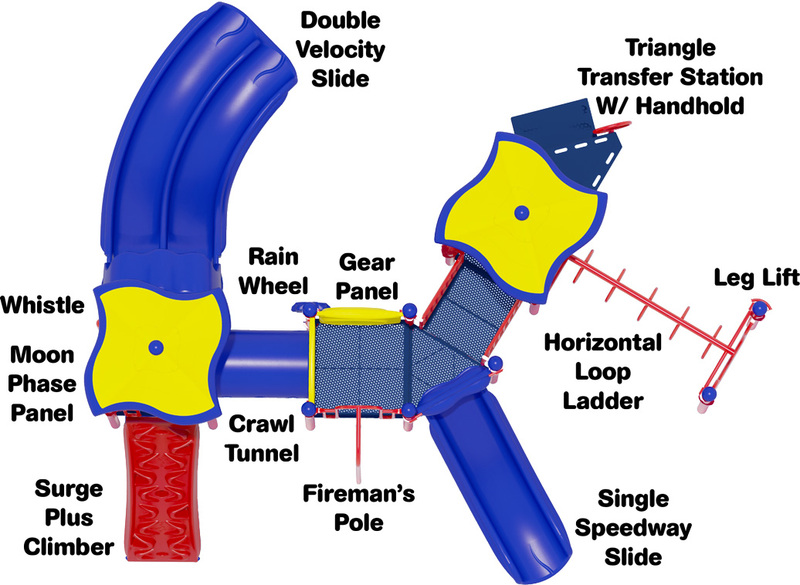 2 Rosetta Roofs, 2 Slides, 2 Climbers, 2 Activity Panels, Crawl Tunnel, Fireman's Pole, Drum Line, and much more!